A Cave Innovations green and white garden parasol would make a great addition to your garden or patio. Use it to create ambient shade over a relaxing seating area. Or create your own shady reading and relaxing area. 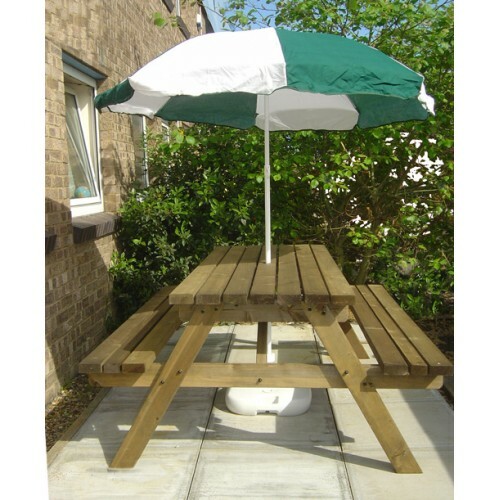 Our green and white garden parasols can also be used to protect your children from the sun. They offer privacy from neighbours and shelter an outdoor dining area. These smart garden parasols are just as useful at the beach, on a picnic, camping, or best of all at the seaside. 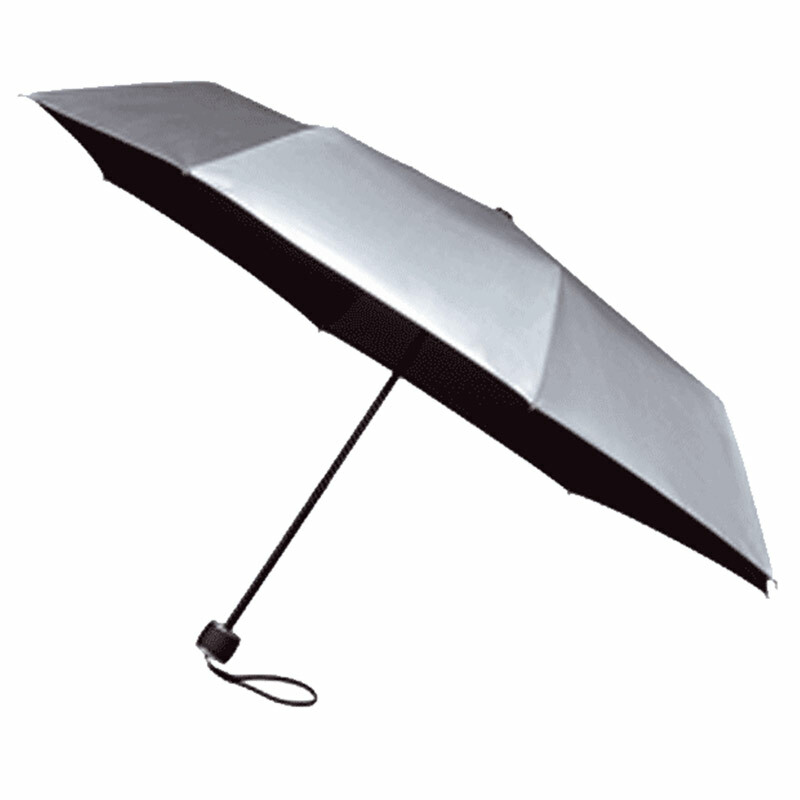 Garden Parasols are often referred to as sun umbrellas or sunshades. 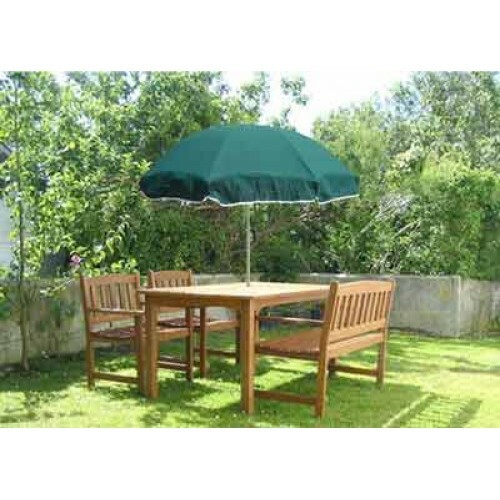 Cave Innovations Green & White garden parasols have a water resistant canopy making them shower proof. 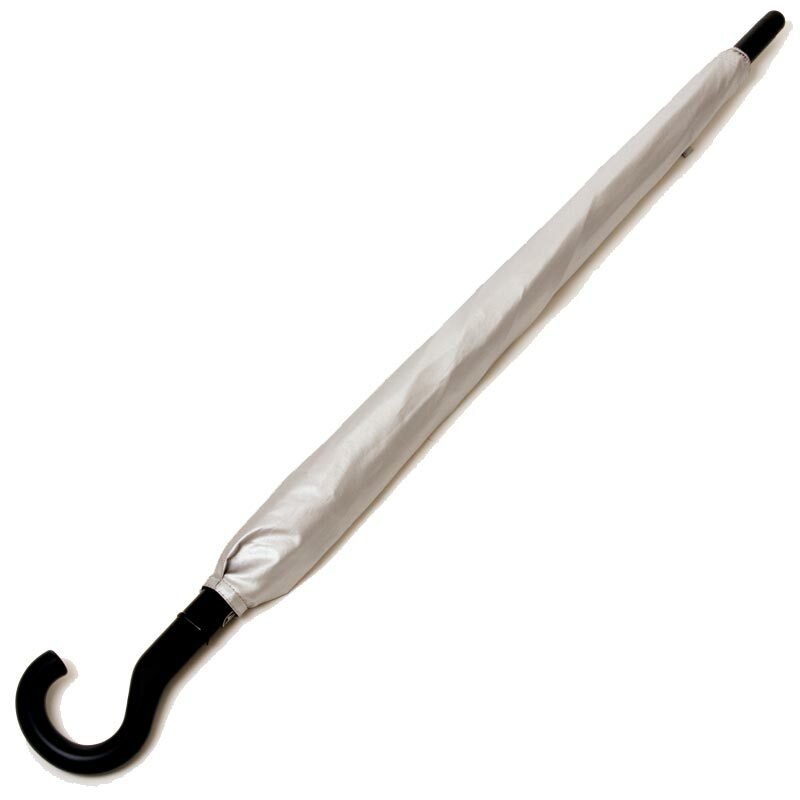 They are an inexpensive parasol for those long awaited warm and pleasant occasions relaxing in your garden. Gloss white two-piece powder coated shafts with height-adjustable clamp and a tilt adjust mechanism for additional angle positioning for when the sun dips towards the horizon. Canopy width is a substantial 180cm, approx 70″ and maximum safe erection height 180cm, approx 70″. Relaxing outdoors during summer, after a hard week at work is something we all enjoy but we must always be conscious of the harmful UV rays from the sun. 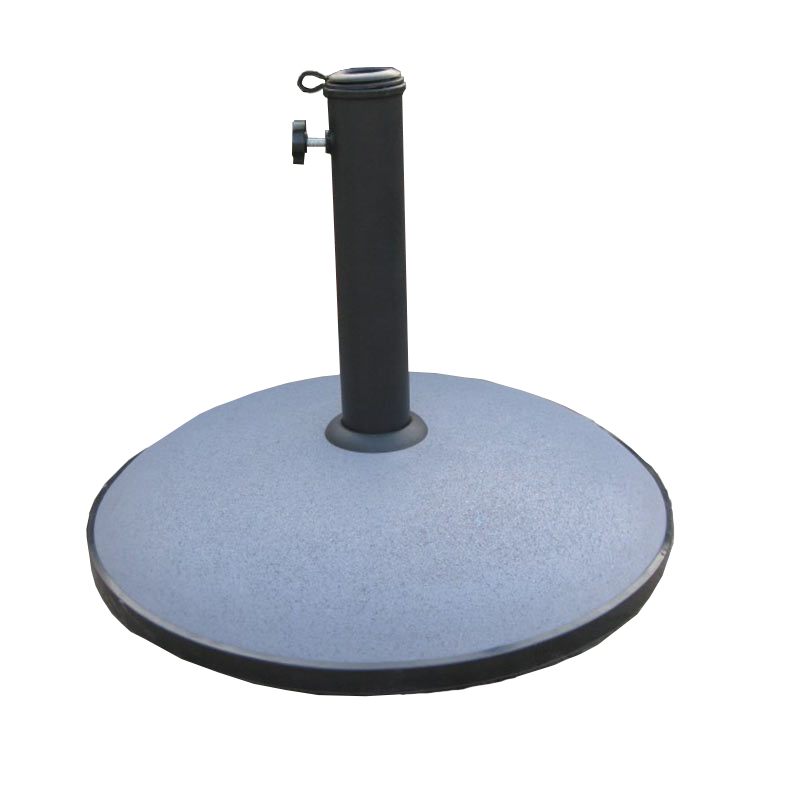 Stay protected with this forest green and white garden parasol with push-up mechanism and a handy tilt facility which allows you to angle the parasol in relation to the sun’s position. Not the parasol for you? Check out our range!